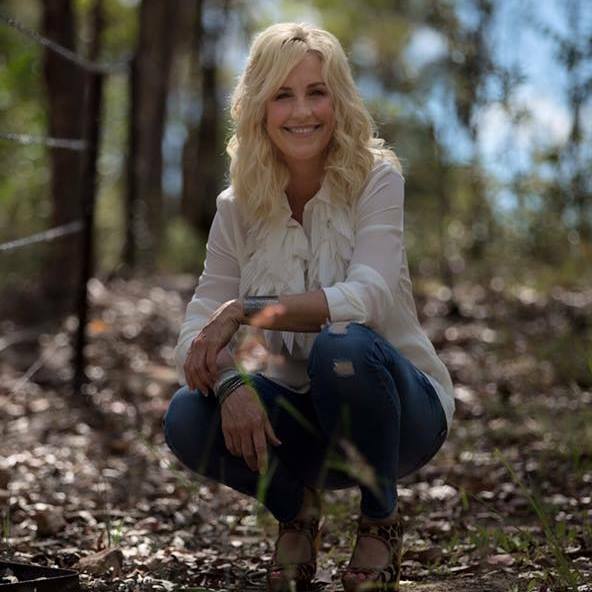 FORT MYERS, Fla. - Oct. 1, 2018 - PRLog -- The Burroughs Home & Gardens will host a panel of speakers that includes Erin Brockovich on the topic of clean water on October 3, from 1:00 to 3:00 p.m. at the Burroughs Homes and Gardens, located at 2505 First St. in Fort Myers, Florida. Other panelists will represent the Calusa Water Keeper, Captains for Clean Water, and the Sanibel Captiva Conservation Foundation. The panel discussion will serve as an opportunity for participants to educate the audience about clean water challenges in Southwest Florida. Ms. Brockovich is a consumer advocate and environmental activist. She is best known for her involvement in one of the largest direct-action lawsuits in U.S. history and is the subject of the 2000 film, "Erin Brockovich." Calusa Waterkeeper http://www.calusawaterkeeper.org is a nonprofit organization dedicated to the protection of the Caloosahatchee River & Estuary, Lake Okeechobee, Nicodemus Slough, Charlotte Harbor, Estero Bay, the near-shore waters of Lee County and their watersheds through education and promotion of responsible use and enjoyment by all people. Speaking on their behalf will be John Cassani. Captains for Clean Water https://captainsforcleanwater.org is a 501(c)(3) nonprofit organization that advocates for the elimination of harmful, large-scale Lake Okeechobee discharges into the Caloosahatchee and St. Lucie River estuaries by restoring the natural flow of Lake Okeechobee water South into the Everglades and Florida Bay. Restoring the natural southern flow of Lake Okeechobee water is essential to the survival of our estuaries, the health of the Everglades, and the long-term viability of South Florida's largest drinking water source, the Biscayne Aquifer. Speaking on their behalf will be Capt. Daniel Andrews. The Sanibel-Captiva Conservation Foundation http://www.sccf.org is dedicated to the conservation of coastal habitats and aquatic resources on Sanibel and Captiva and in the surrounding watershed. From its earliest days, SCCF has been known as a land trust with an impressive acquisition record. The story of SCCF's land conservation efforts spans almost five decades on the islands on Sanibel, Captiva, Buck Key, Albright, York, Coconut and the Long Cut preserve on Pine Island. Speaking on their behalf will be Rae Ann Wessel. "We are pleased to host such an informed group of speakers to share their knowledge with the public about a topic that affects each of the residents in Southwest Florida," said Bob Bowcock, managing director of Integrated Resources Water. There will be limited seating, so guests are encouraged to bring lawn chairs for additional lawn seating. There is no fee for entry; however donations are greatly appreciated and will be split between the four participating organizations to help defray the event costs. The Gale McBride Pavilion is located at 2505 First Street, Fort Myers, Florida, on the property of the historic Burroughs Home & Gardens, a 1901 Georgian Revival riverfront mansion that sits on 2.45 acres overlooking the Caloosahatchee River in historic, downtown Fort Myers. The property is maintained by the Uncommon Friends Foundation, celebrating its 25th year in 2018 as a nonprofit 501(c)(3) organization that works to inspire future leaders toward excellence of character, a spirit of innovation, and a sense of purpose. Through character education, business ethics, scholarship and historic preservation, the foundation carries on the generational values of Fort Myers businessman Jim Newton and his personal friends: Thomas Edison, Henry Ford, Harvey Firestone, Dr. Alexis Carrel, and Charles Lindburgh. Public tours of the historic home are available by reservation. For more information, visit www.uncommonfriends.orgor call 239-337-9503.